Bastian Schweinsteiger was recruited as a key player by Louis van Gaal, and featured regularly in his team, to a point. What happened after that? Schweinsteiger reveals. Schweinsteiger has lamented the suspension he got midway through his first season at Manchester United. The world Cup winner was slapped with a three-match retrospective ban for elbowing West Ham defender Winston Reid in December 2015. Things were different after the ban, and the German managed to start just 5 games in 2 years before leaving the Old Trafford club. Arrival of Jose Mourinho in the summer of 2016 put an end to any hopes Schweinsteiger had to be a regular at Manchester United. But despite these fact, the midfielder, who moved from the mighty Bayern Munich, has no regrets over his move to Manchester United. “It was the right move. I always had the objective to win the Champions League with Bayern Munich and that is why I always stayed there and didn’t move abroad. I achieved that in 2013 and that defined an era,” Schweinsteiger told SPORT1. “The step to Manchester was definitely an important one. Louis van Gaal called me and he wanted to have success quickly. Of course things started very well for me. We were top of the league, level on points with Leicester. “Then I got suspended and shortly after I was fouled and injured. We still won the FA Cup and that’s not something you just win by fluke,” he added. 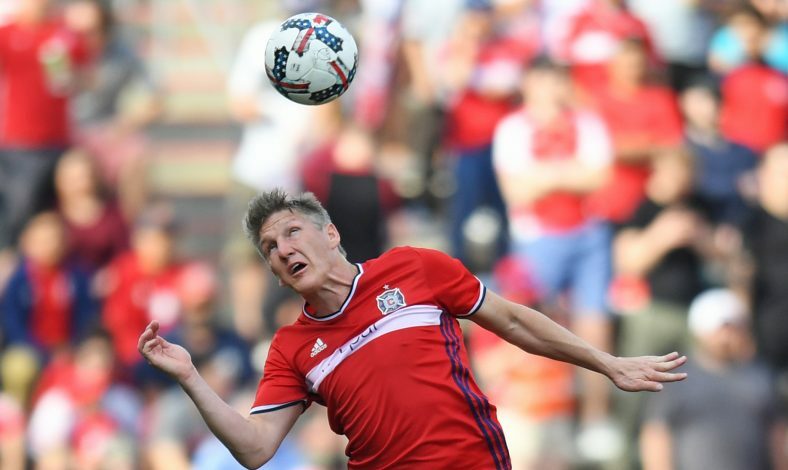 Schweinsteiger spent most of his time playing for reserves under Jose Mourinho before he moved to MLS club Chicago Fire, where he is currently having a productive season.